This will be the last post summiarizing this years Superettan and Allsvenskan. The previous ones can be found here. If we start looking at all teams Expected goals for and against, one of the most interesting things is Jönköpings huge over achievement when it comes to goals scored in relation to expected goals. Becoming promoted with such high over achievement feels really dangerous to me. Their promotion may to some extent be the result of a freak season and if the goal expectancy/performance would level out next season I wouldn’t be surprised to see J-Södra at the bottom of next years Allsvenskan table. Östersund on the other hand more or less has performed in accordance to the expected goal conversion. I have argued for it before, in my mind ÖFK much more deserved to win Superettan. At the other end of the table Brommapojkarna really conceded a lot of goals more than expected. 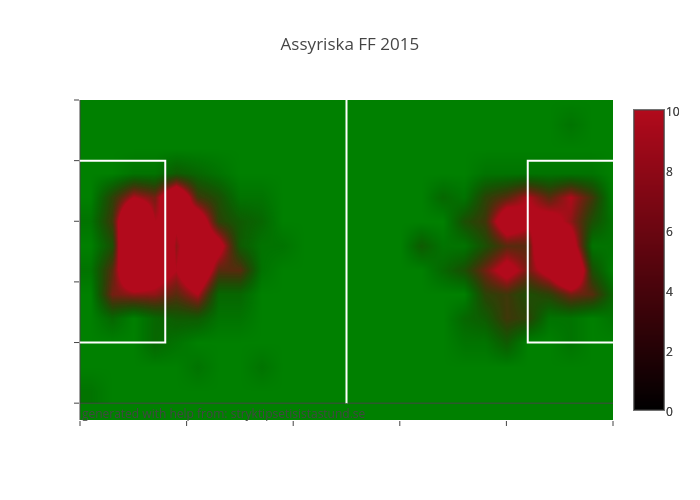 46 conceded from an expected 34 may very well be one of the explanations to their relegation. BP has had two consecutive seasons with a very large diff in GA-XGA! 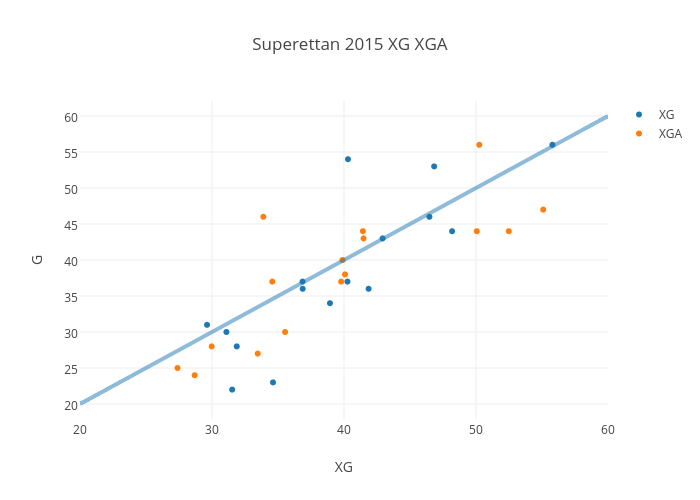 XG-XGA for all teams. Ordered by table position.